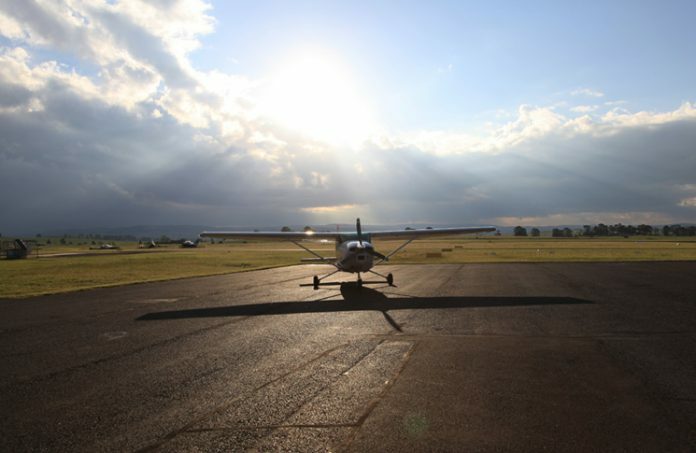 The Bureau of Meteorology provides a wide range of weather related products and services to the Australian aviation industry. 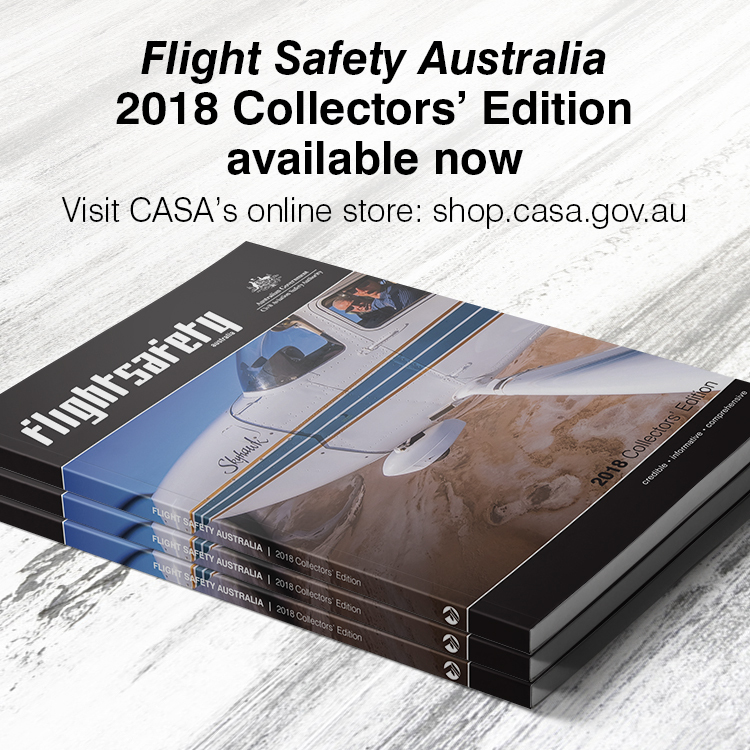 From 10 November 2016, the Bureau has introduced changes to some aviation products to better comply, where practical, with the standards set out by the International Civil Aviation Organization (ICAO). Area forecasts now cover the airspace between the surface and 10,000 feet AMSL compared to the previous area forecast which covered the airspace from the surface to 20,000 feet AMSL. 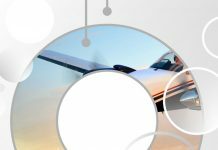 You can obtain weather information for airspace above 10,000 feet AMSL from medium and high-level significant weather (SIGWX) charts, grid point wind and temperature (GPWT) charts and the NAIPS wind/temperature profile. 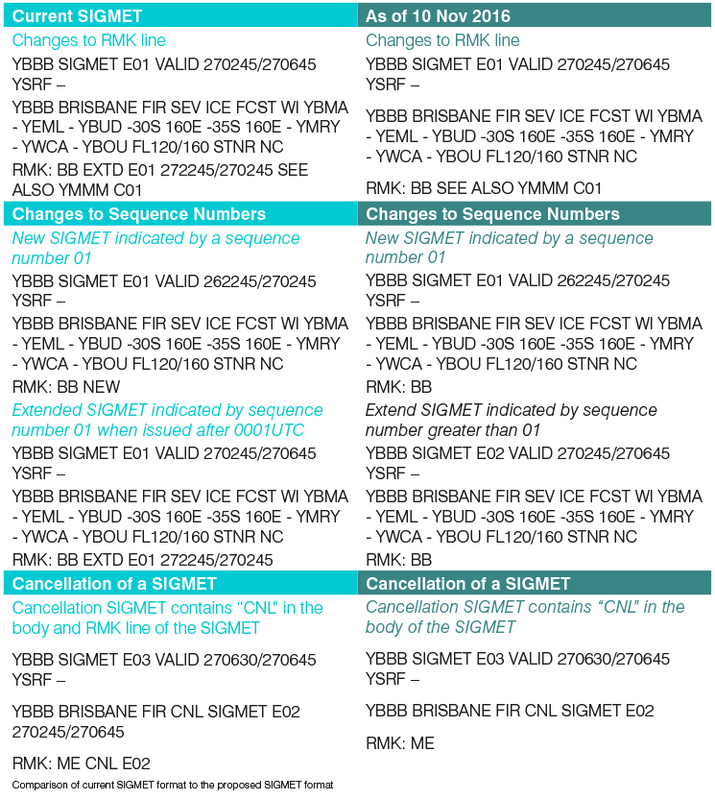 Australian SIGMET sequence numbers will no longer reset at 0001UTC, and instead the sequence numbering will continue until the SIGMET for the event is cancelled. Should more than 99 SIGMETs be issued for a particular event, the number portion of the sequence number will go from 99 to 02. Sequence number 01 will be reserved for new SIGMETs. CNL – cancel information is contained in the body of the SIGMET. 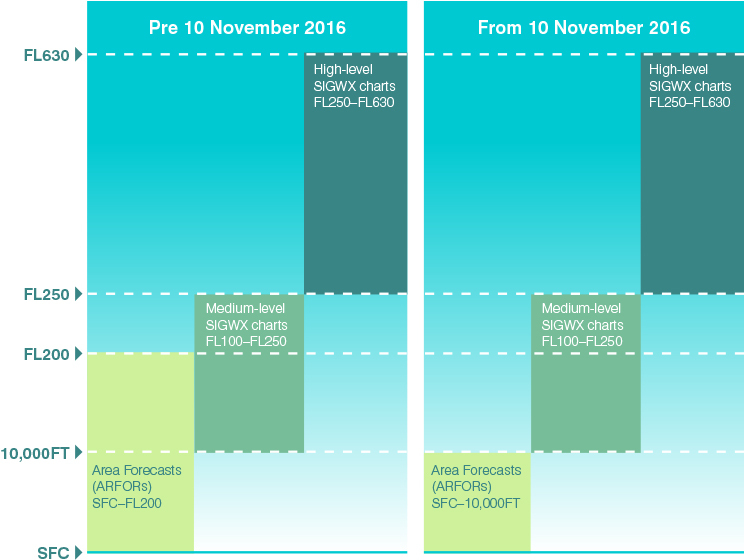 The examples below highlight the comparison between the current SIGMET format and the SIGMET format as of 10 November 2016. Note1 & 2 ICAO Annex 3 threshold for visibility and cloud are 5000 m and 1000 ft respectively. However, to ensure that Australian VMC requirements are adequately met and VFR aircraft are alerted to deteriorating conditions effectively, the Bureau now uses the thresholds as 8 km for visibility and 1500 ft for cloud. 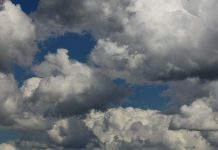 Isolated, occasional or frequent cumulonimbus or towering cumulus cloud. 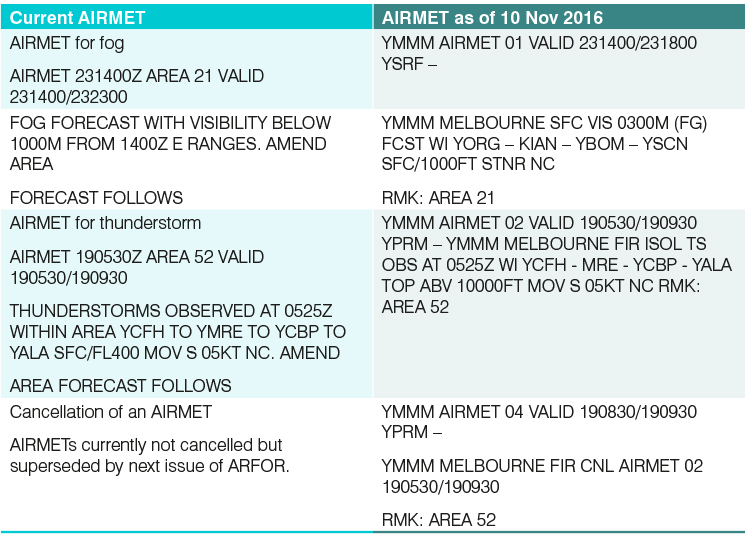 AIRMET will now be cancelled when the phenomenon is included in the amended ARFOR. Congratulations to all those who have learned how to translate these weather products. 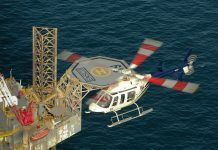 However it is odd that a product with such a significant influence over aviation safety is still published in a code that could be seen as having been specifically designed to trap inexperienced players. As most recreational pilots operate at 0 to 10,000 feet, perhaps consideration could be given to publishing ARFORS in plain English to improve safety?